Fans of the long-running lawn-and-garden TV series "Backyard Farmer" are invited to attend two free live tapings. Lincoln, Neb. — Fans of the popular lawn-and-garden TV series "Backyard Farmer" are invited to attend two free live tapings. The first taping is Aug. 30 in the Raising Nebraska Building at the Nebraska State Fair in Grand Island. A special question-and-answer session with the panelists is 2:30 to 3:30 p.m., followed by the taping at 4 p.m. The episode will air at 7 p.m. Aug. 31 on NET. The second taping is 6 p.m. Sept. 11 at Kimmel Orchard and Vineyard, 5995 G Road in Nebraska City. The episode will air at 7 p.m. Sept. 14 on NET. 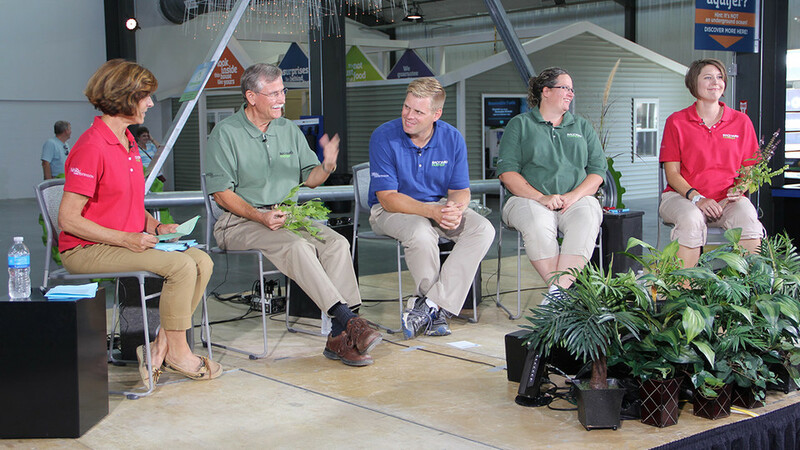 During the tapings, a variety of expert panelists from the university will discuss topics such as insect pests and disease, turf, fruits and vegetables, landscape design and general horticulture. New to the panel this year are urban entomologists Jody Green and John Porter. "Our strong relationship with the viewers is why this show has been on for 65 years, so the live tapings are a fun opportunity for us to meet our loyal audience and say thanks," said "Backyard Farmer" host Kim Todd. The program airs Thursdays at 7 p.m. on NET from April to September and repeats Saturdays at 10 a.m. on NET and Sundays at 3 p.m. on NET Create. For a complete program schedule, click here.